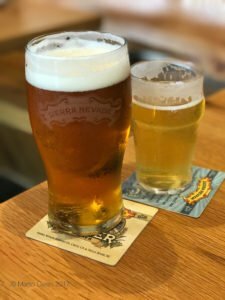 Back last year we visited Asheville, North Carolina and I wrote about our experience visiting the Sierra Nevada Brewery (See Here) It was great and of course on a return visit this year we felt obliged to go back and check that it was still as good. It was. The restaurant was still serving great food and accompanying it with excellent beer. The store was still selling beer related souvenirs and take-home bottles, six and twelve packs and the ubiquitous Growlers. We also decided to check out the competing New Belgium Brewery. 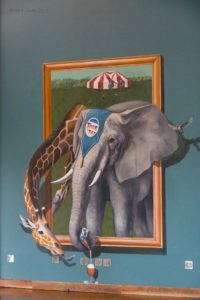 New Belgium has similar history to Sierra Nevada in that its origin are in the west – Colorado this time, rather than California – and that it was born out of the craft beer movement when beer lovers became disenchanted with carbonated, chemical drinks pushed at us by the big brewers. Similar movements have taken place around the world, notable being the Campaign for Real Ale (CAMRA) n the UK, which subsequently spawned the annual Great British Beer Festival. Suffice to say though that Craft Brewing is spearheaded around the world by excellent US breweries and their beers. However back to New Belgium….. The New Belgium Brewery is smaller than its Sierra Nevada comrade but none the worse for that. It has a different vibe, just a little more relaxed on the tourism front. The tour is of course free to tempt the faithful to identify even more closely with the brewers. Their maximum number of tour members is 20, but on our tour there were only 5 plus the tour guide, Lucy. Lucy was part of the Brew Team and was certainly knowledgable about the process, history, culture and products. 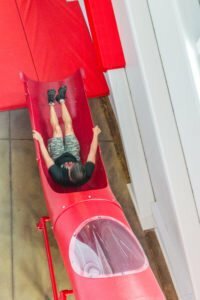 There is a great sense of fun in the organization with employees being given a New Belgium bike after a years service and things like a slide to get from one level of the plant to another – see the photo! 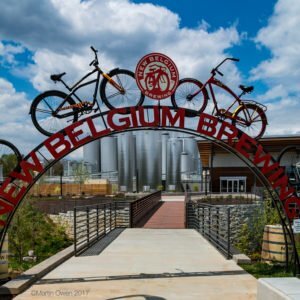 New Belgium is an employee owned company and so is unlikely to be absorbed into one of the Big (Chemical Producing!) companies. 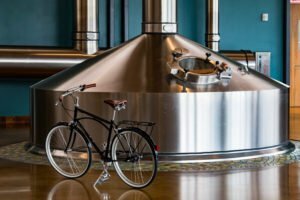 Unlike Sierra Nevada where the tasting session takes place at the end of the tour, New Belgium indulges visitors with tastings at strategically placed ‘bars’ throughout the plant. The tour ends being dropped off outside the tap room and gift shop (of course) and the Sierra Nevada full scale restaurant is replaced by a Food Truck which is really VERY good. Which was best? Neither. They are both professional, fascinating and well worth a visit. If you’re going to the area, please try both. 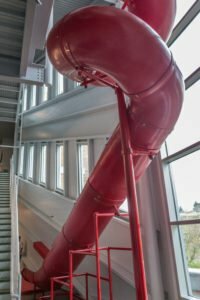 Not just from the beer tasting point of view, but to look at how an industrial process has been turned into a tourism opportunity. Down here on the northern Gulf Coast we have also been absorbed by the Craft Beer movement in recent years. Both the tourists and of course the locals have been calling for something other than mass produced fizzy chemical water. Our large Military contingent along the coast has contributed to this, as they know their beer! Without too much research you can find 13 craft breweries between Pensacola and Apalachicola. These are virtually all paired with good restaurants and all sell their own beers and the souvenirs aimed aimed at their followers. A good number have formal brewery tours, an I’m guessing that that those that don’t could happily arrange a meet up with their Brewmaster on request. Of course this is another tourism opportunity for our Destination Marketing Organizations to jump on. The Emerald Coast Beer Trail (I’ll happy donate that title to the cause in exchange for a glass of IPA) could have tourists visiting sites right along the coast. Perhaps some sort of treasure hunt collecting stamps at the different locations, with a prize for getting all of them? Nice Marketing at it’s best and simplest, appealing to Millennials, Boomers and Foodies at the same time. The other thing to mention is this is a year round activity, and it isn’t dependent on the weather. Just to help out here’s a list of the local Northern Gulf Coast Craft Breweries that I’ve found. If I’ve left anyone out, please let me know! getting employees to another level. The brewery is built on the site of an old circus. After a year of service each employee gets a bike. 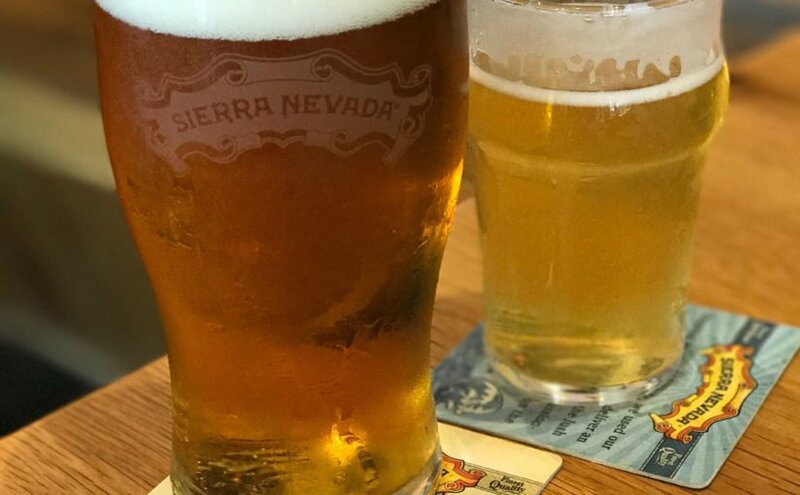 Returning to the Sierra Nevada Brewery.